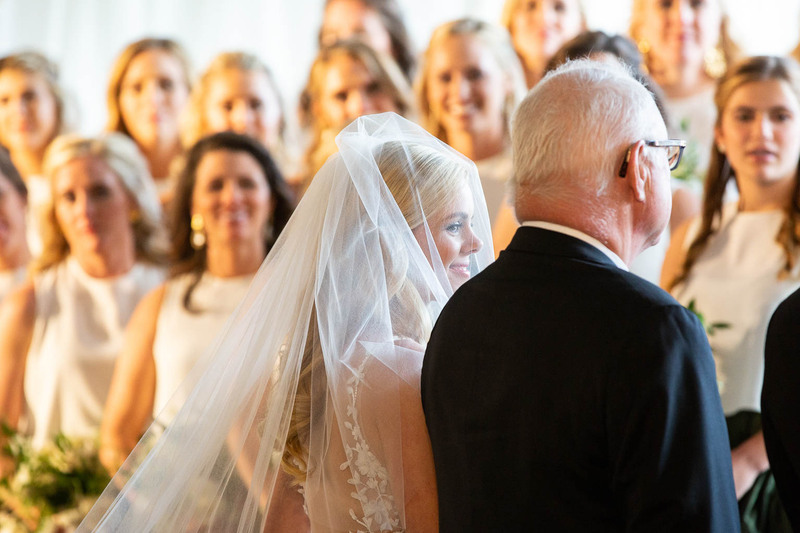 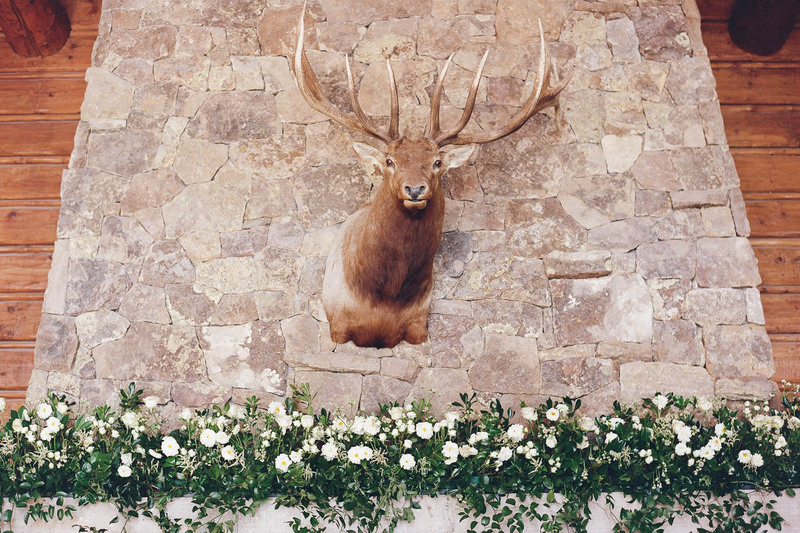 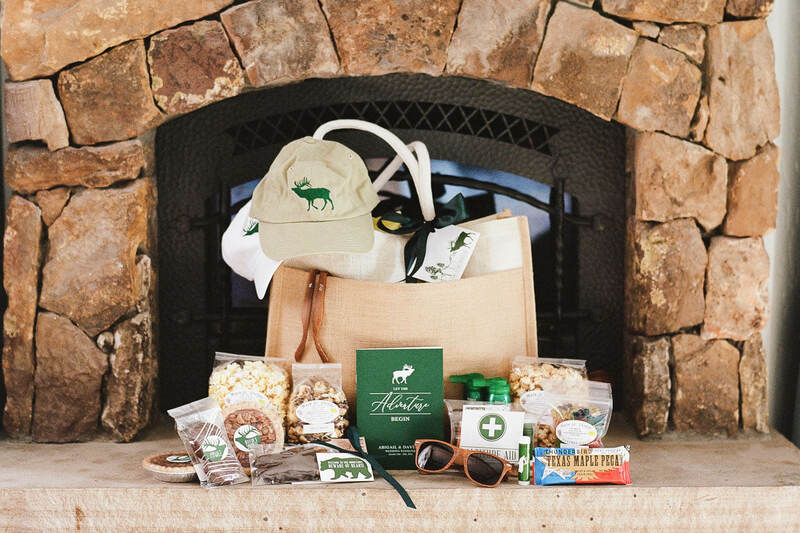 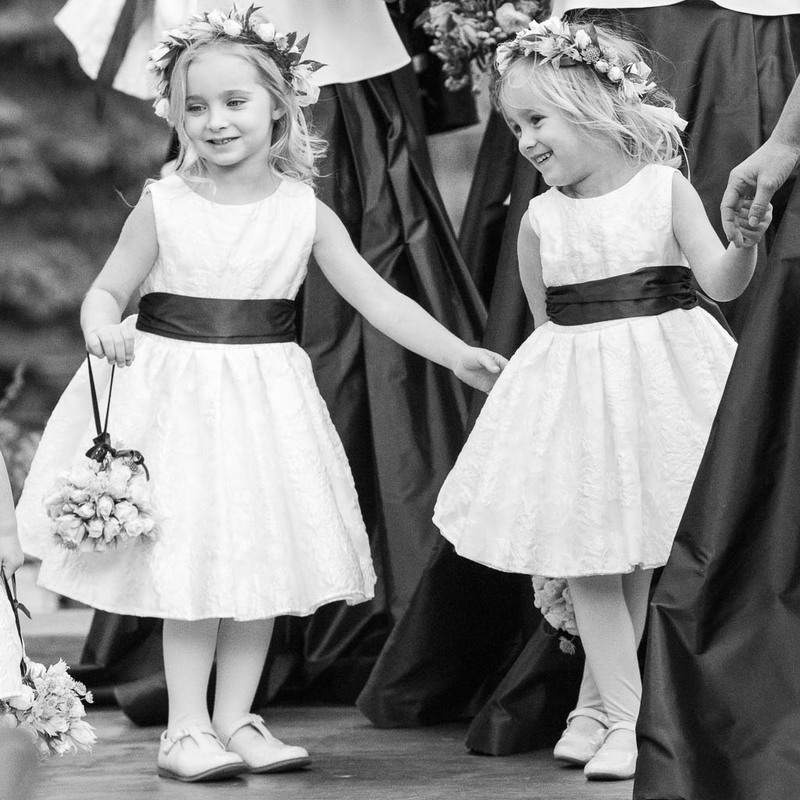 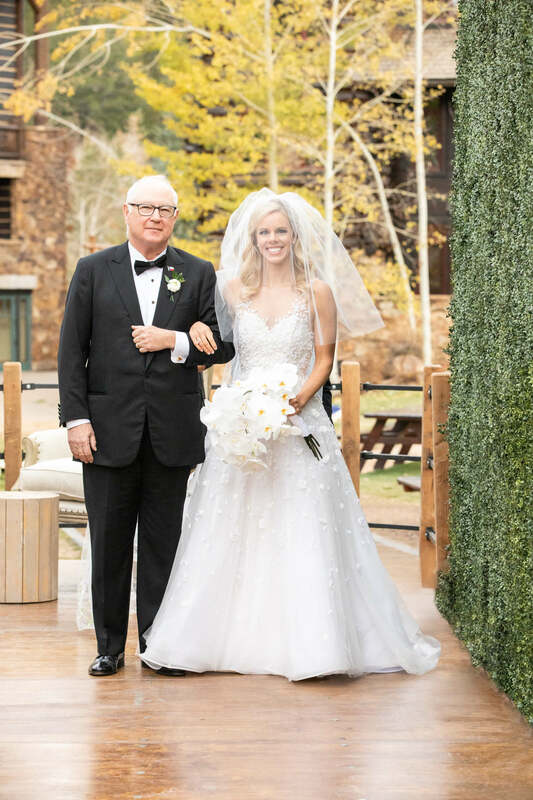 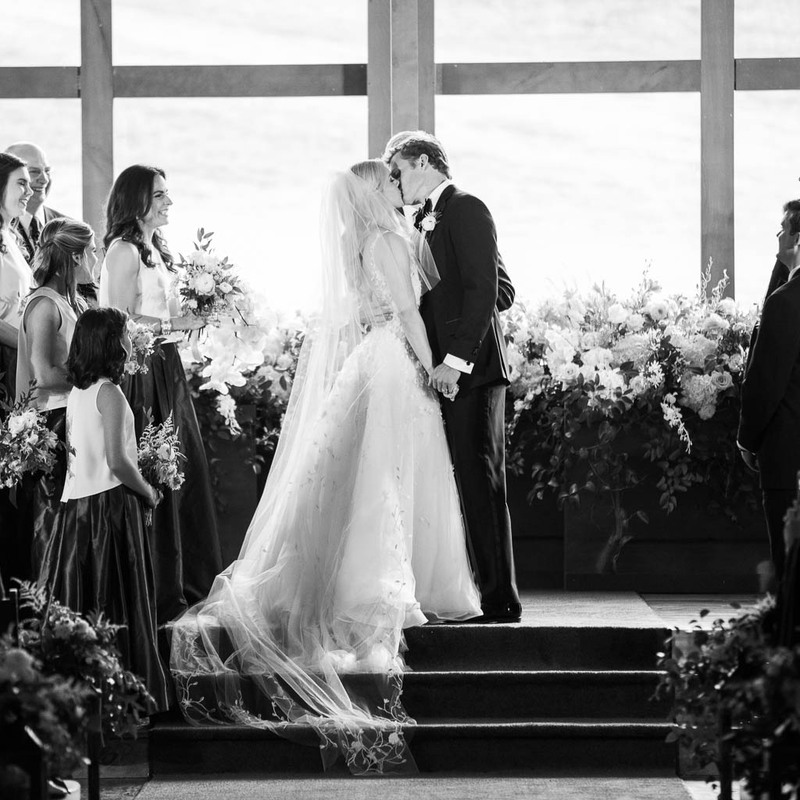 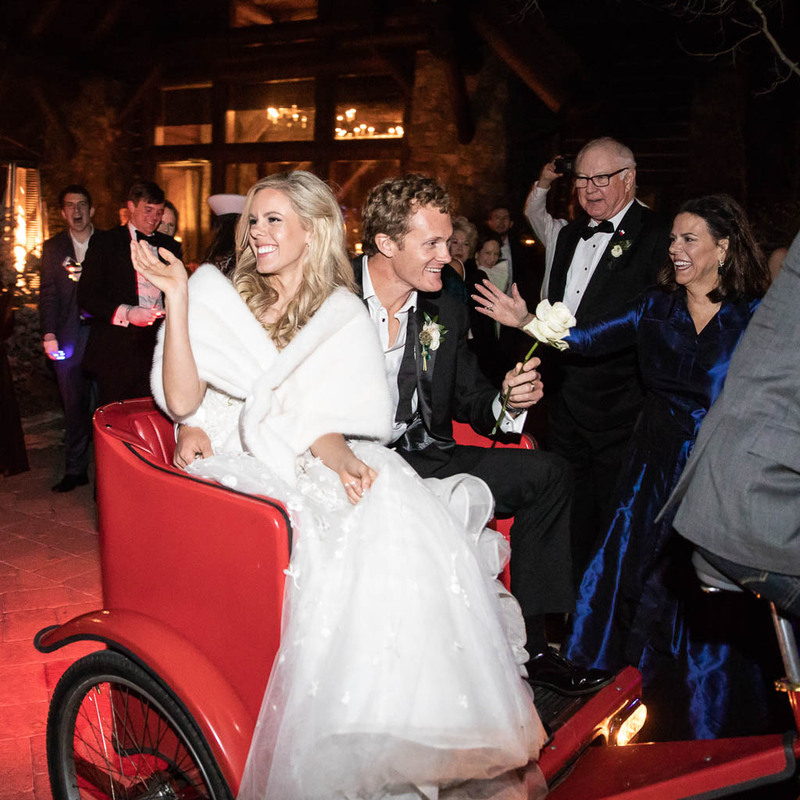 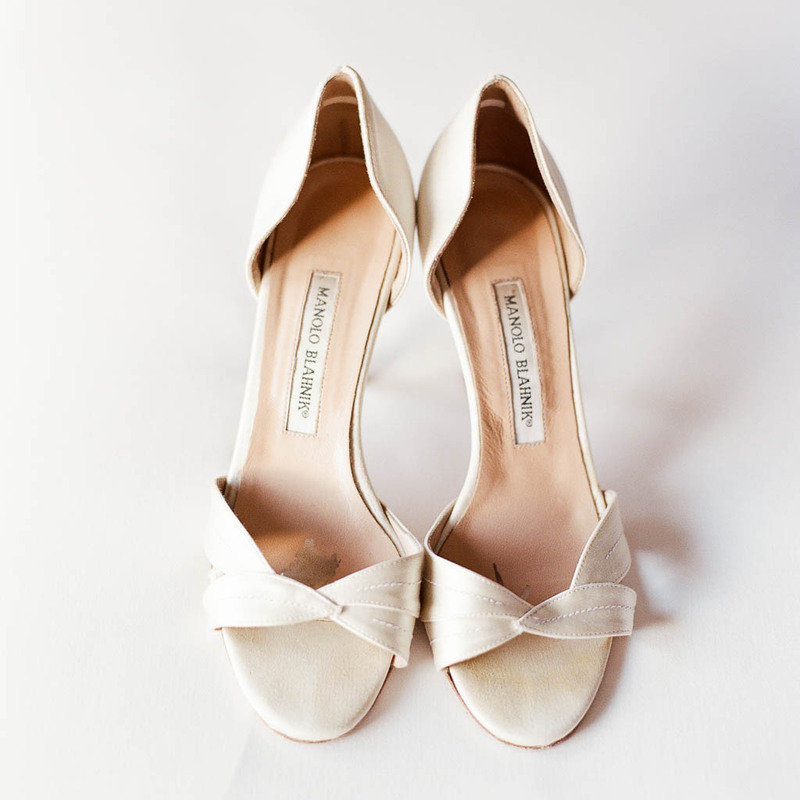 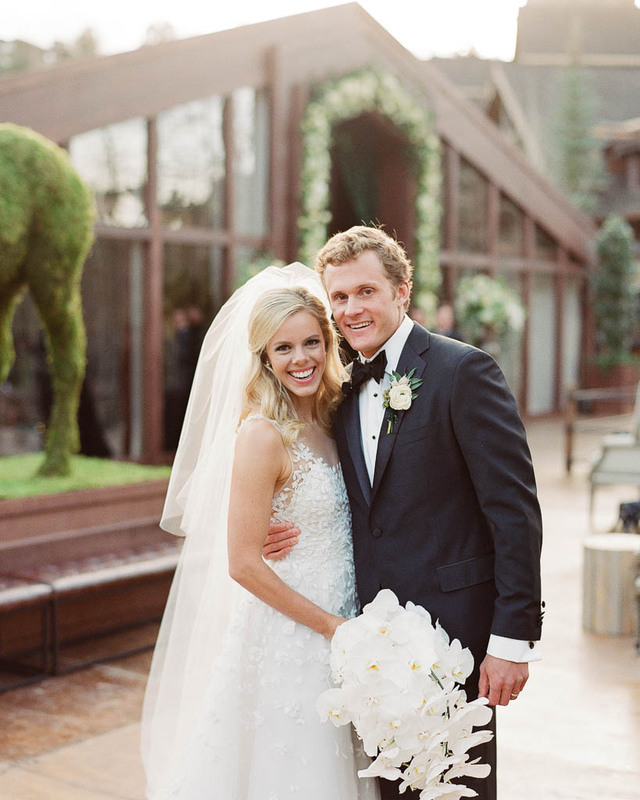 Though they reside in Dallas, Abigail and David invited loved ones to join them in Beaver Creek, Colorado for a destination wedding at one of their favorite places to visit: The Ritz-Carlton, Bachelor Gulch. 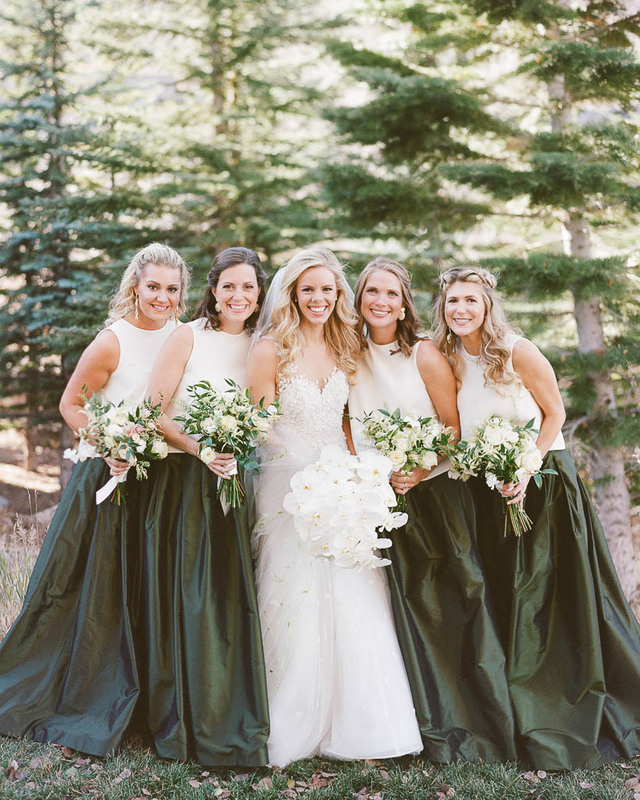 Hosting an entire weekend allowed them to spend quality time with friends and family, even partaking in activities such as hiking, yoga, and paintball. 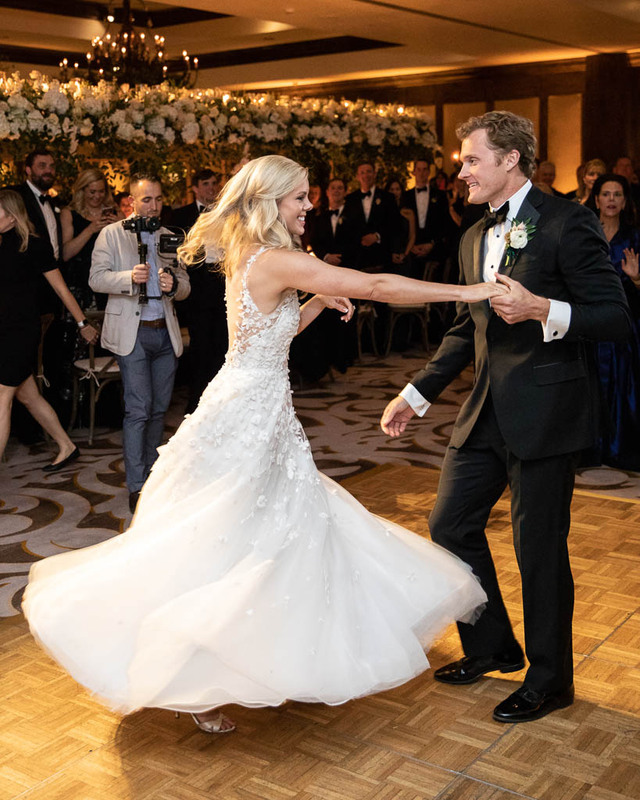 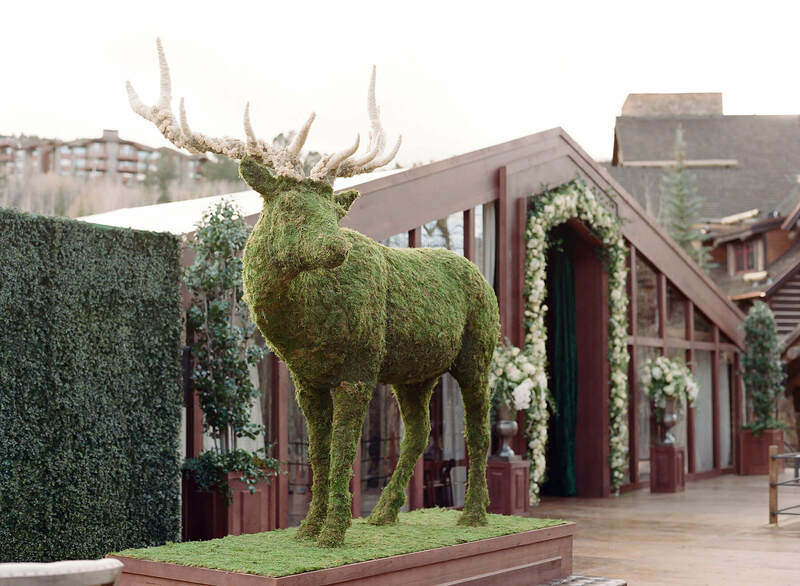 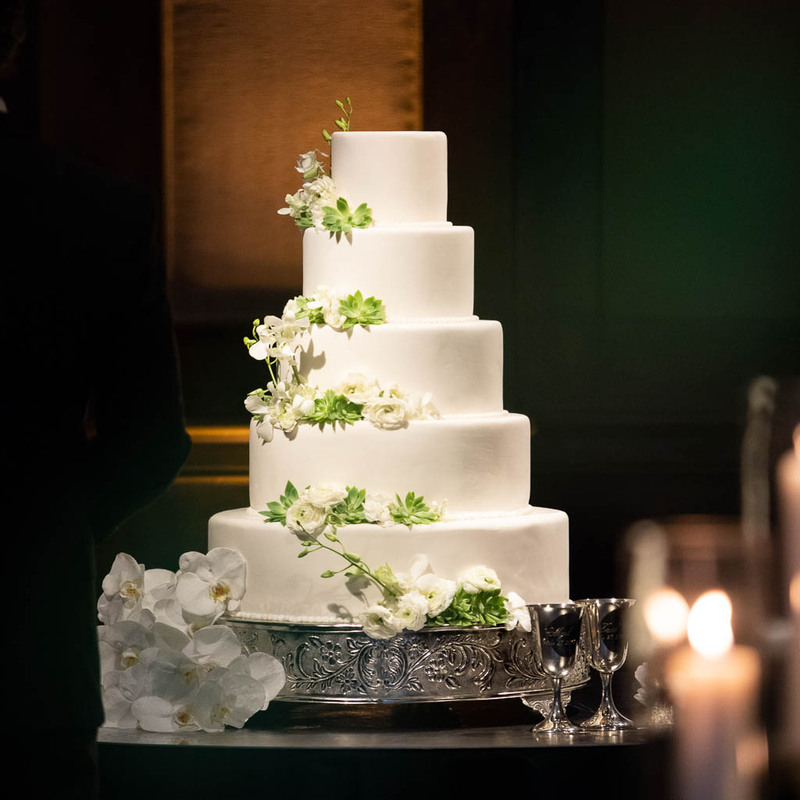 The bride and groom planned their fall fête with Alison Baker Events, who helped them create an unforgettable experience for their attendees. 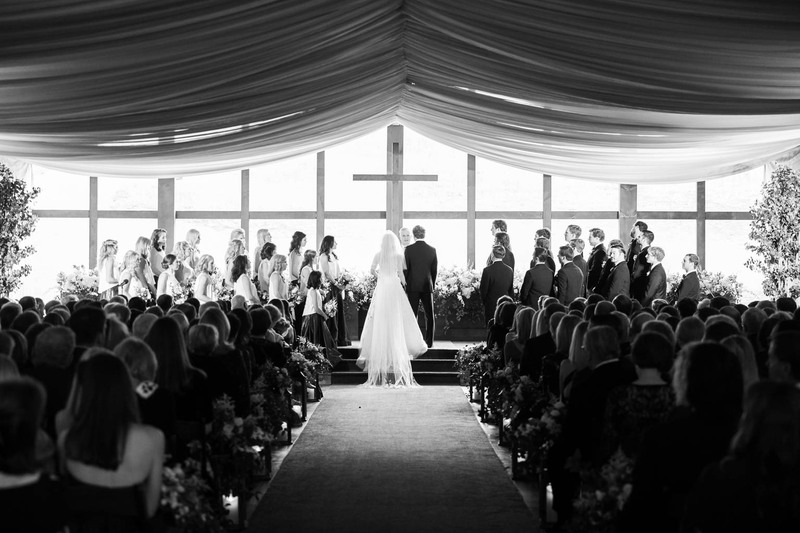 A large wooden structure was erected for the nuptials, allowing the pair to exchange vows in a chapel-like setting featuring a large cross at the altar, which offered a beautiful view of the mountain setting. 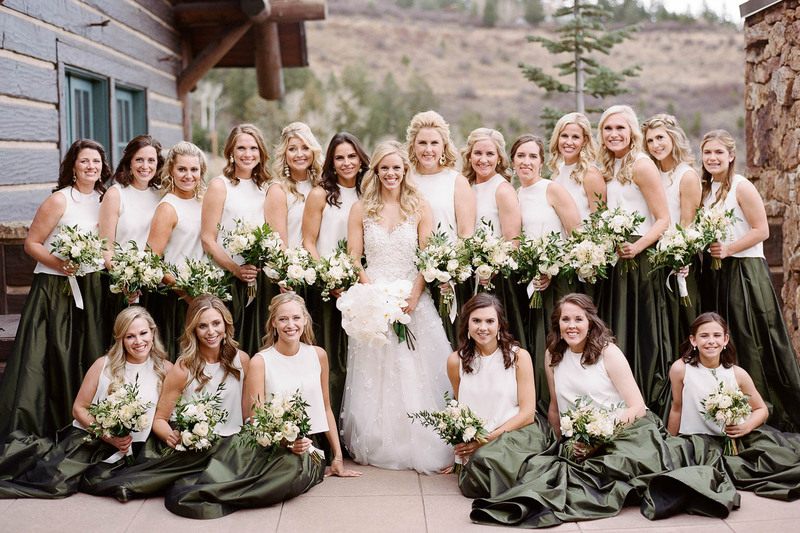 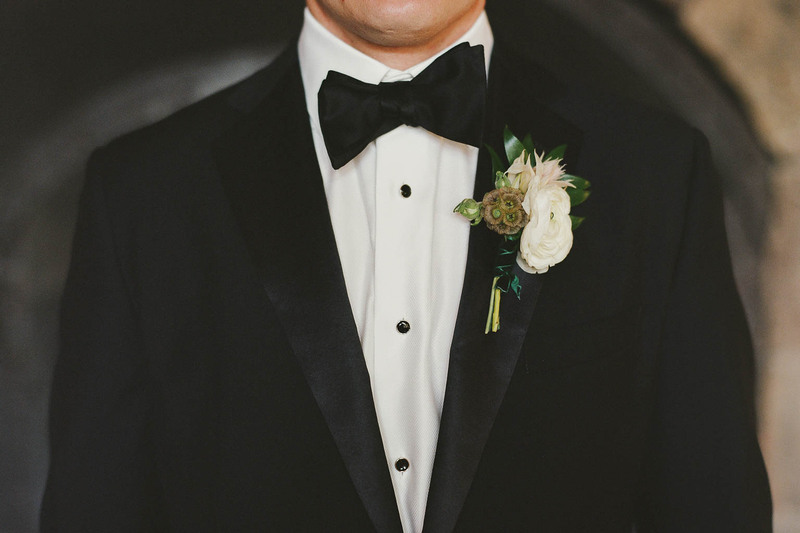 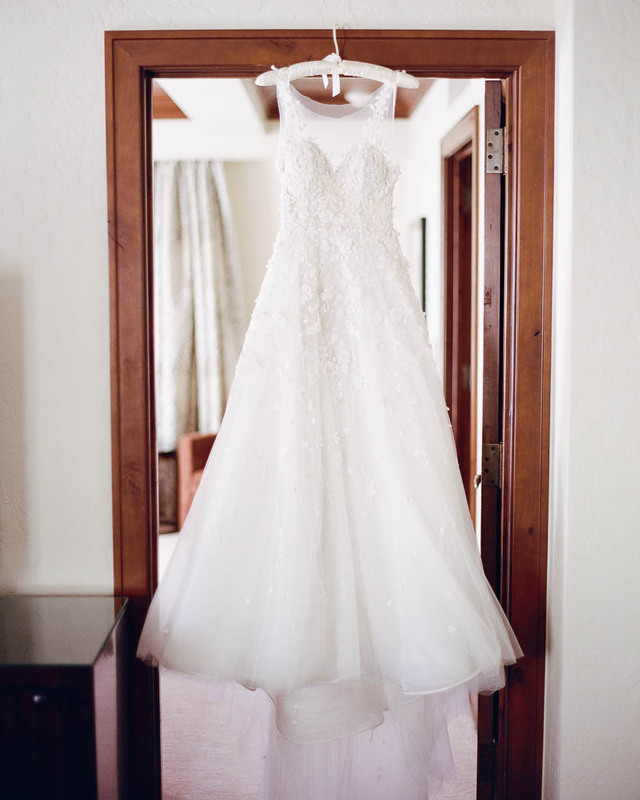 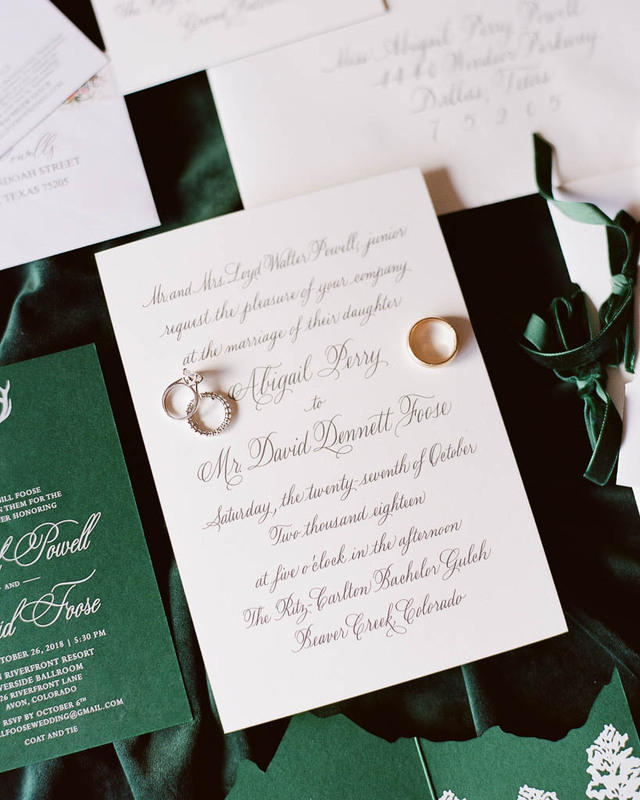 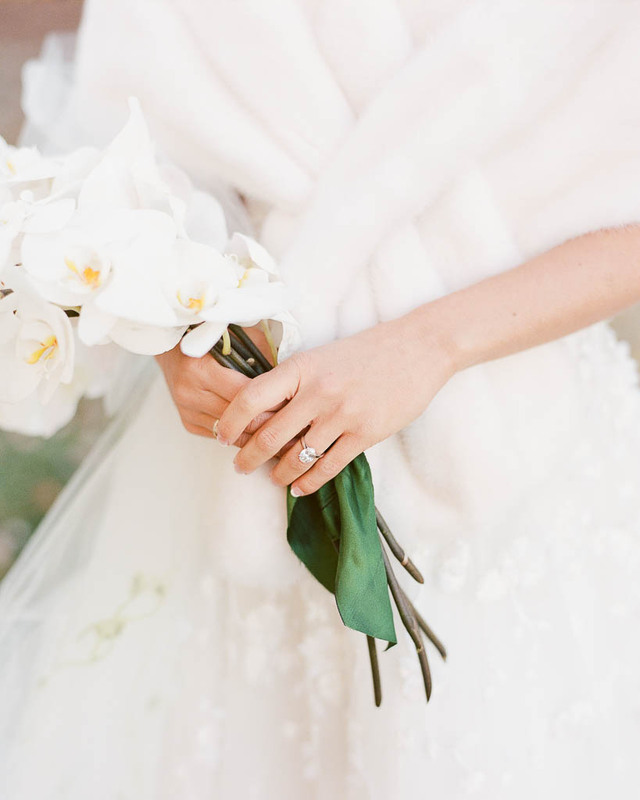 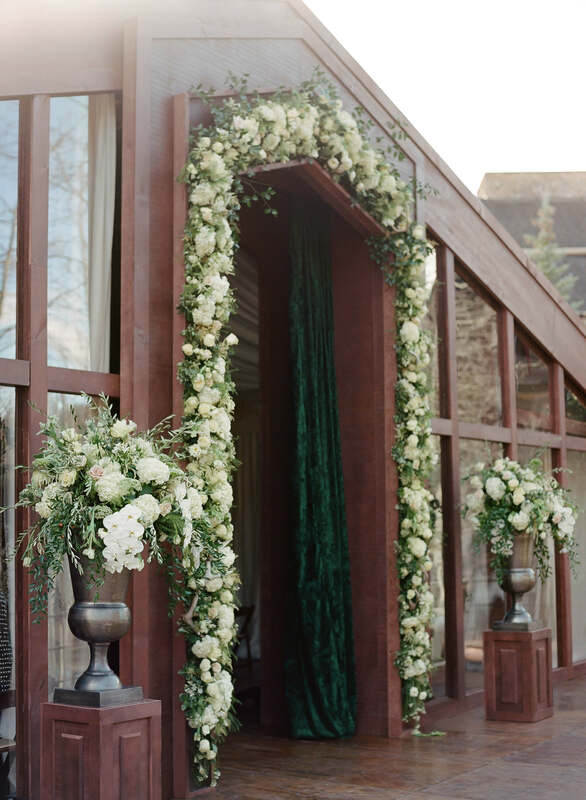 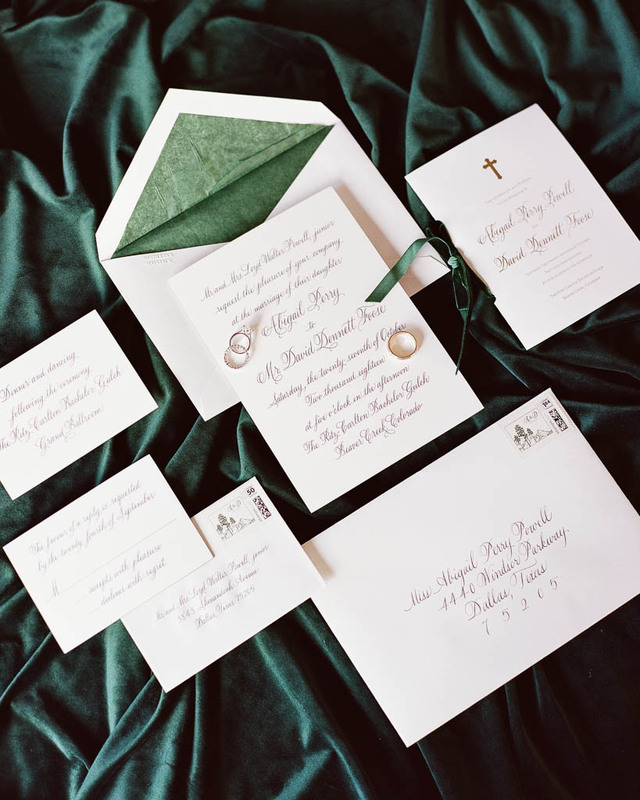 The bride entered the space embellished with ivory drapery and emerald curtains at the entrance in a gorgeous Michael Faircloth gown with an illusion neckline and floral appliqués. 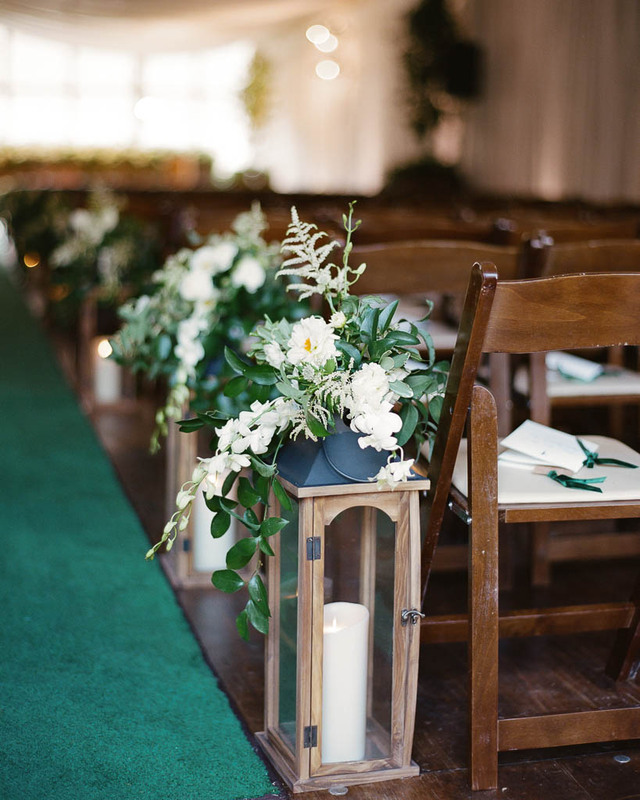 Guests witnessed the sweet service from either side of a carpeted green aisle lined with wooden lanterns adorned with fresh greenery and vanilla blooms. 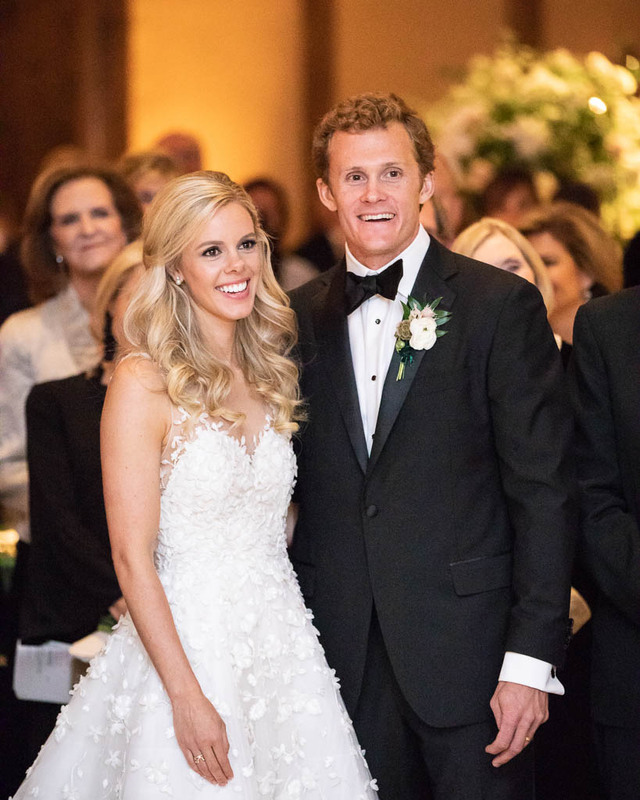 The reception took place in a ballroom showcasing a head table spanning the width of the room. 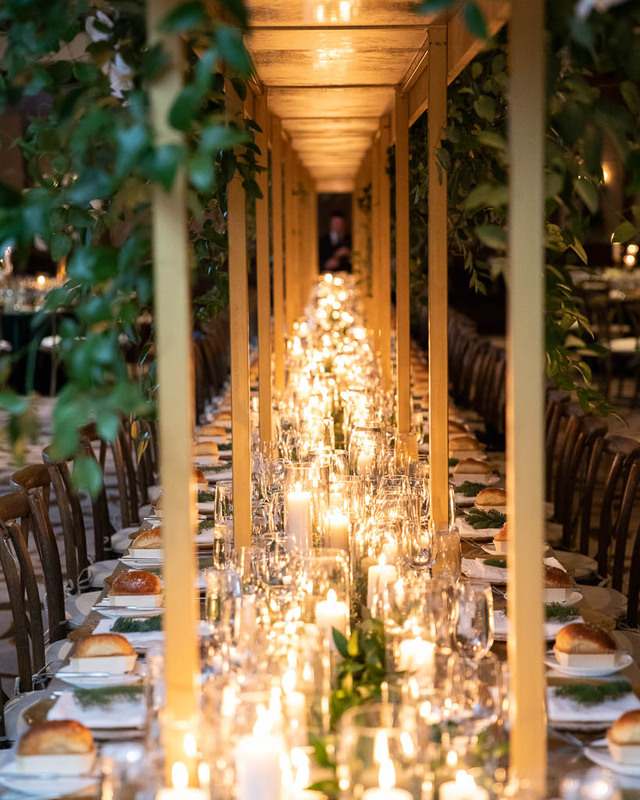 Vineyard chairs surrounded the table, which featured lush arrangements of florals and verdure on gold risers. 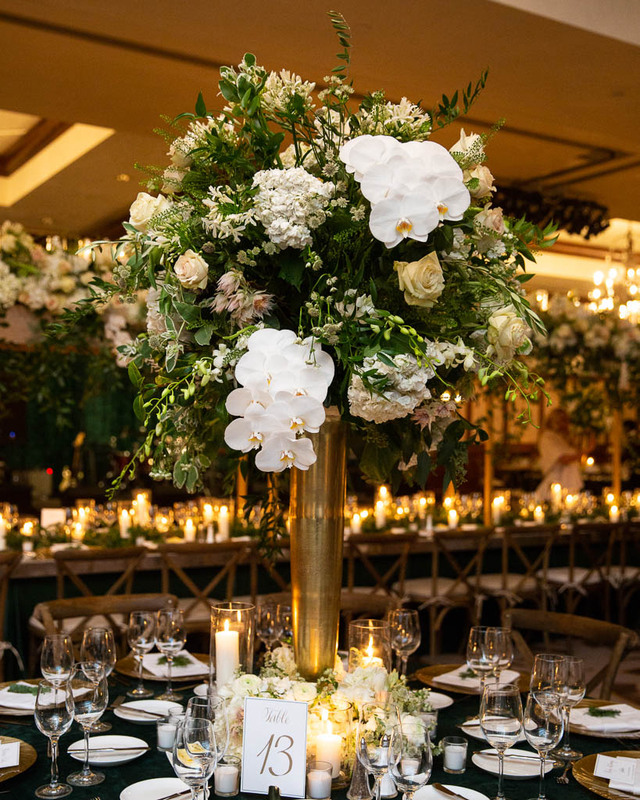 Round tables were strewn with emerald linens and decorated with tall centerpieces showcasing orchids and additional alabaster blossoms. 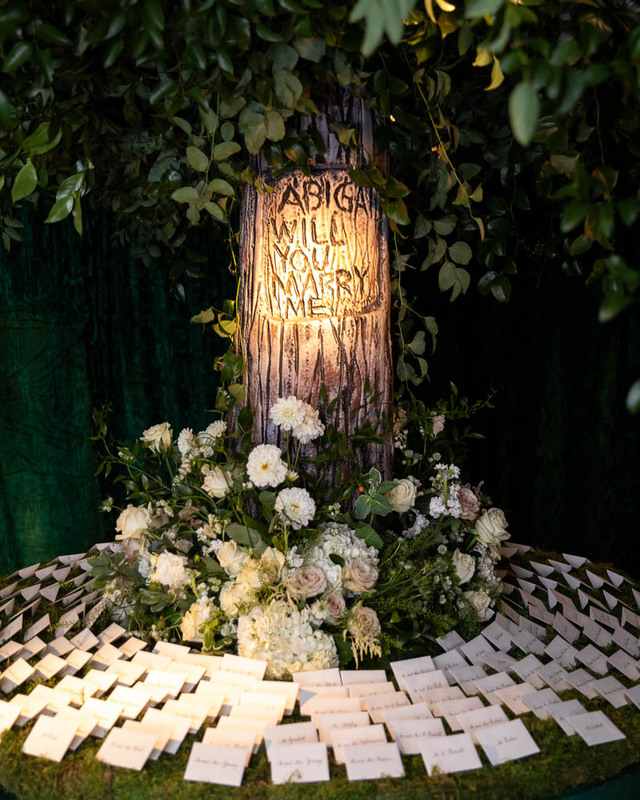 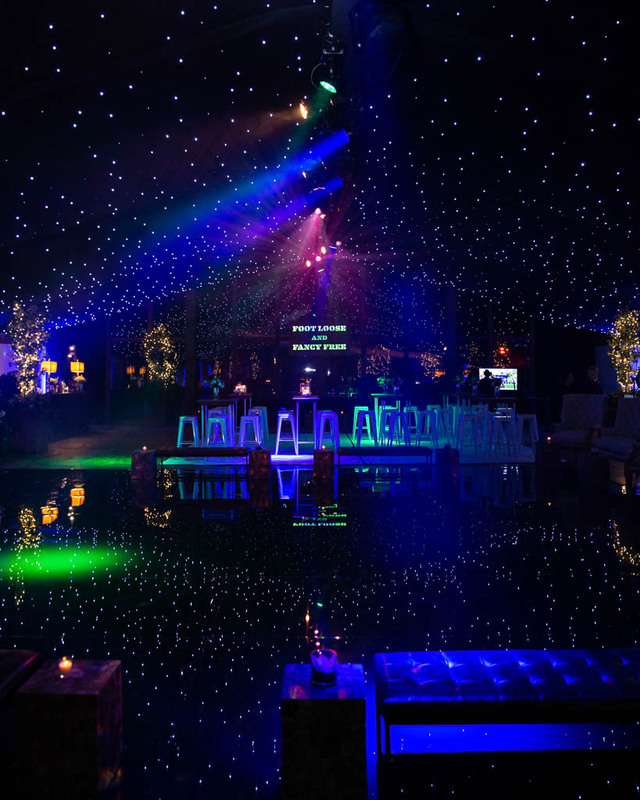 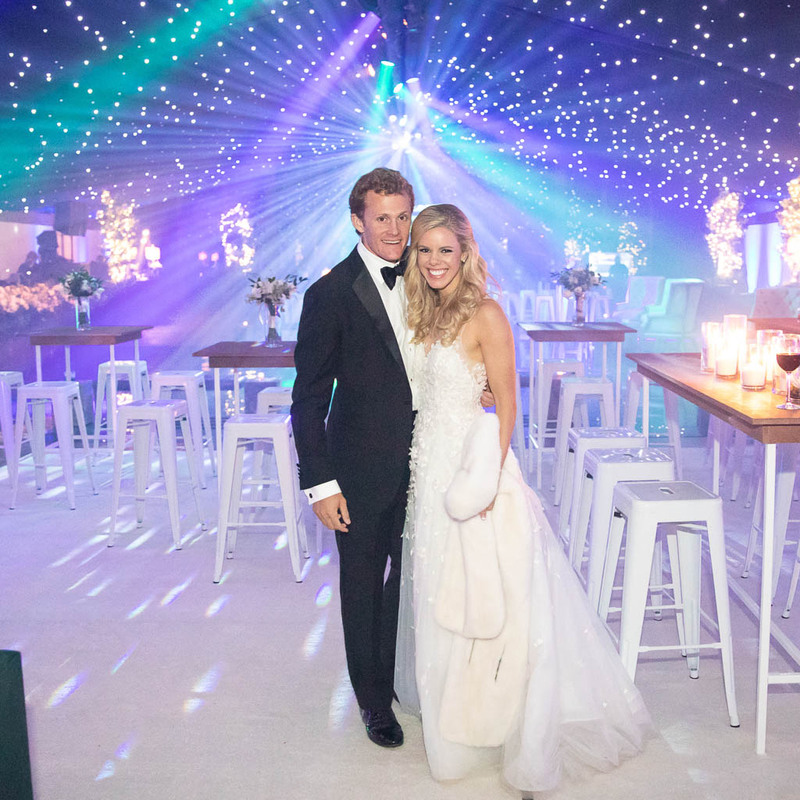 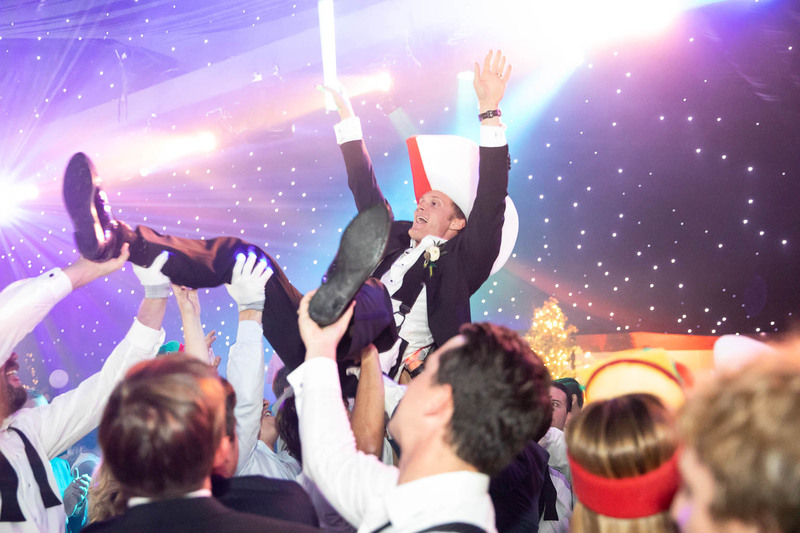 Later in the evening, loved ones re-entered the structure created for the ceremony, which had been transformed for an after-party complete with star-like and vibrant lighting, a photo booth, and virtual reality games.